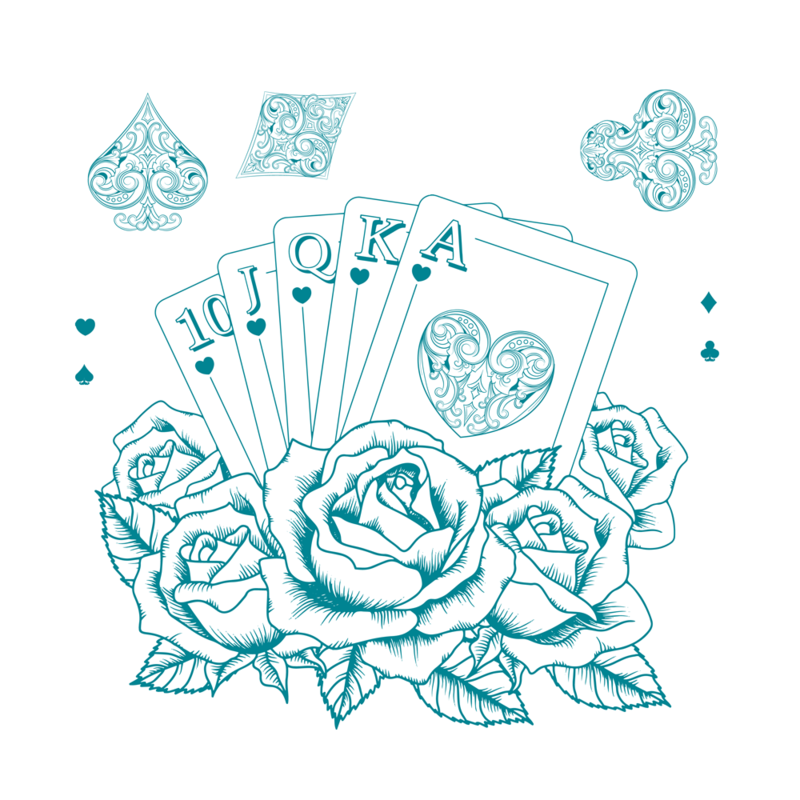 Cards within Tattoos can have a variety of meanings depending on the suit and number of the cards the person chooses! 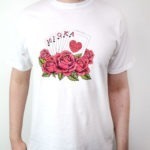 Poker Face features one of the most popular combination of cards, a Royal Flush! 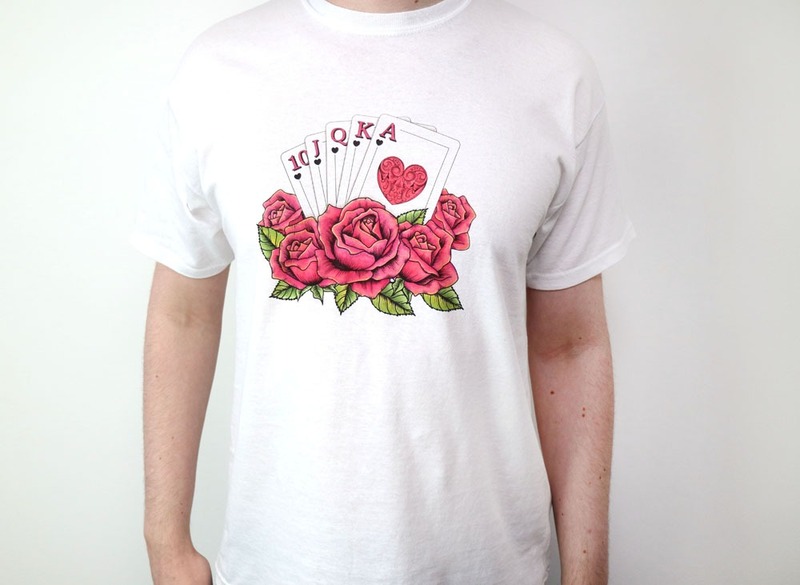 The cards are embedded in beautiful roses and there are also the other suit symbols depicted! Use this screen on a host of projects, including t-shirts, towels, bags, wallpaper, lampshades, blankets, sheets, cushions and so much more. This product is part of the Old School Collection.